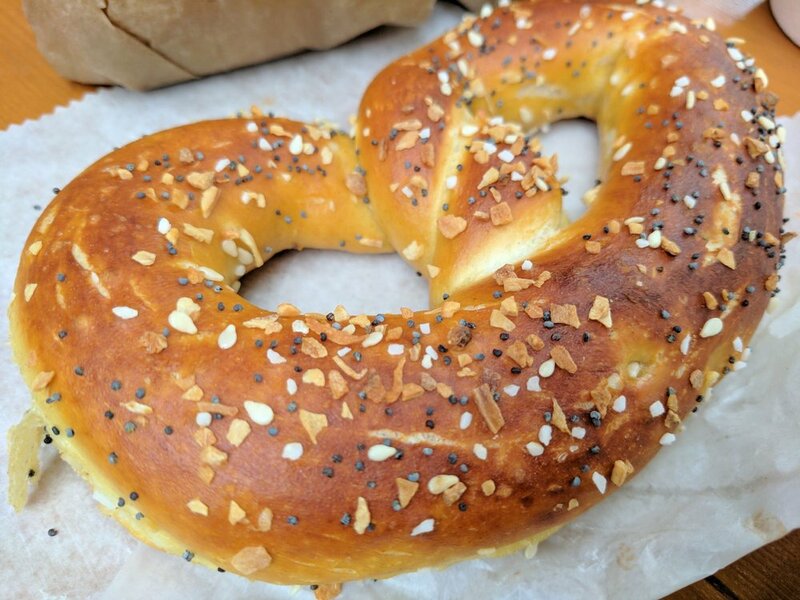 Eat Soft Pretzels for Breakfast at This Capitol Hill Cafe! Start your day off right with soft pretzels in multiple flavors at The Pretzel Bakery! As a huge fan of breakfast and lunch, I immediately started searching for the perfect cafe when I moved to Capitol Hill. While the Hill has a ton of cute, independent cafes, The Pretzel Bakery was truly a unique find! WHEN: Monday–Friday: 7 a.m.–6 p.m. | Saturday–Sunday: 8 a.m.–5 p.m.
"Just about every childhood memory I have involves pretzels. It seemed every trip to the store, soccer practice, or vacation started (or ended) with a bag of pretzels. I guess it was the easiest and cheapest way to keep 4 kids happy. Every Saturday morning my family would meet at my grandmother’s house for lunch and tea." 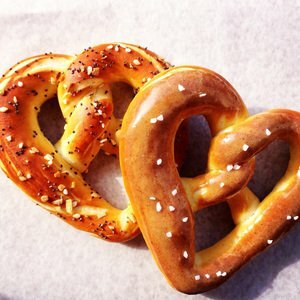 The cafe sells original salted pretzels, everything bagel-flavored pretzels, and sweet pretzels with a cinnamon glaze. You can get the pretzels for $2.50 each or 3 for $6. I would recommend trying out all of them because each of them has a very distinct flavor. 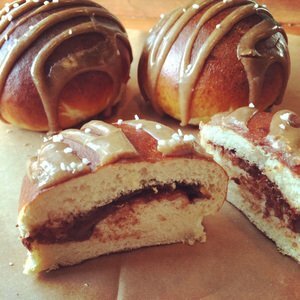 You can also buy breakfast sliders with bacon, egg, and cheese on an everything pretzel roll, pretzel bombs filled with Nutella, calzones, and pretzel dogs. As a cafe, the joint also has coffee, tea, mochas, and even a creative drink called a hotella which is hot chocolate with Nutella. If you're not in the Capitol Hill neighborhood, you can find their pretzels at The Washington Nationals, The Washington Football Club, Verizon Center, Meridian Pint, Brookland Pint, Blue Jacket, Trusty's, Westin Hotels, and MGM National Harbor. What do you think? 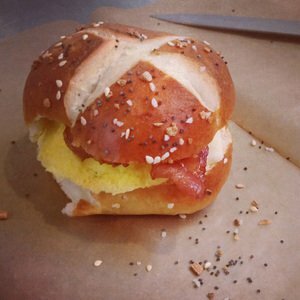 Have you been to The Pretzel Bakery yet? Let us know in the comments below! Head to CityCenterDC for this super-cool interactive art installation!